Plan A was to make conditions as perfect as possible to breed the last remaining northern white rhinos. Ol Pejeta did everything they could to make that a possibility. Plan B was to cross-breed the northern whites with the southern whites to at least perpetuate this precious gene pool. 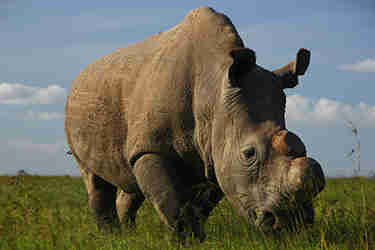 Somehow they would still live on; their genes remaining part of rhino populations to come. But for the last living male, named Sudan, and the two remaining females, Najin and daughter Fatu, this will not be an option. All three are getting on in age. Najin (25) has weak knees and cannot endure the breeding attempts. In a cruel twist of fate, Fatu (14) is infertile, and Sudan (38) has weak sperm. So now what? There's no superman, no magical 11th hour miracle, no known options left to us. This is extinction. Watch, appreciate and admire them while they breathe. Human greed and ego have slaughtered this species to the point of irreversible catastrophe. 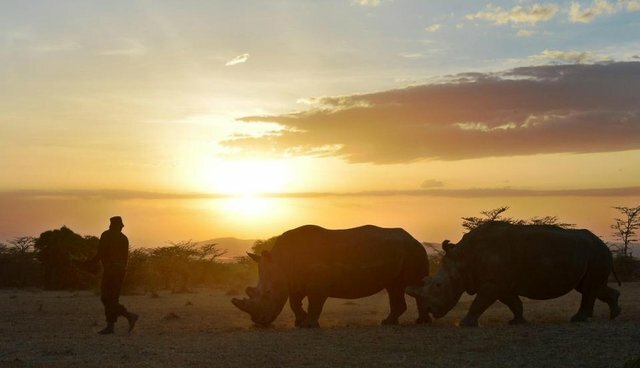 We are witnessing the last of the northern white rhinos. It is inevitable. But the big question is: will we learn from it? Will we allow it to happen again? The Sumatrans, the Javans - they are dangerously close to the same fate. Black, white and greater one-horned rhinos aren't much further behind them. We must not let the northern whites die in vain. It is our duty to learn from them, and to prevent the future decimation of rhinos and other species on our planet. The future of rhinos is not doomed, it is in the balance, waiting for us to determine the outcome. Vigilance, commitment and determination can preserve the rhinos, and in the end, our own fates as well. You can be a part of the final days by "adopting" the northern whites at Ol Pejeta: Adopt a northern white rhino. Proceeds are used on their care, as well as care of the other rhinos at Ol Pejeta.